Your barbecue skills show that you’re a BBQ expert, now you can look the part with some help from Big Poppa Smokers. Barbecue in style with the latest BPS gear - from BBQ hats to BBQ t-shirts, which have all been designed by Big Poppa himself. Whether if you’re a backyard BBQ cook or a BBQ competition pro, everyone can barbecue in style with BPS BBQ apparel. Your new go-to hoodie is here! 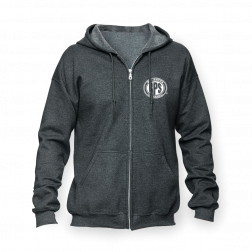 Featuring a simple design, this zip-up hoodie pairs well with anything you wear. If you love BPS you know where the goods are. 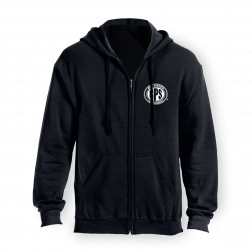 Show your passion for great BBQ even on cold days with a BPS Barbecue hoodie. 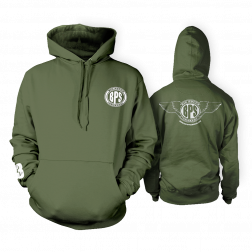 Join the fleet of Big Poppa Smokers with this hoodie, featuring the Big Poppa Smokers, "wings," logo! This zip-up BPS hoodie will quickly become your new favorite piece of apparel. Featuring our "BPS" circle logo and a simply color way, this hoodie pairs great with anything you have on. BBQ master is the name, Pellet Smoking is the game. A comfortable vintage inspired hat suitable for any outdoor occasion. Now in black! Grab a classic BPS logo t-shirt in white to show your love for the Big Poppa Smokers. BJ's Restaurant & Brewhouse + Big Poppa Smokers BBQ Rubs = a match made in heaven. BJ's Restaurants now uses 5 of Big Poppa's rubs & seasonings in all of their restaurants nationwide! This t-shirt is a limited edition print to commemorate the partnership between two great brands who are passionate about creating good food at reasonable prices. 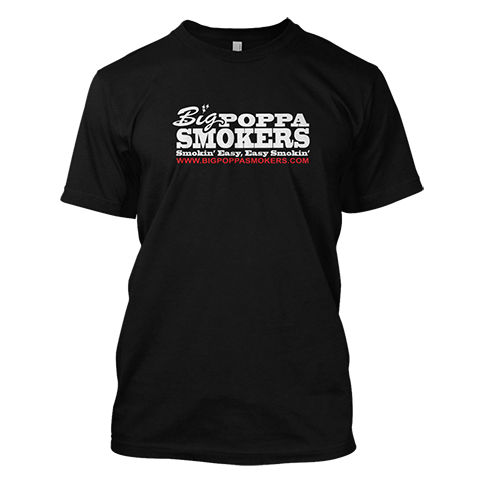 Big Poppa Smokers apparel was designed by BBQ lovers for BBQ lovers. 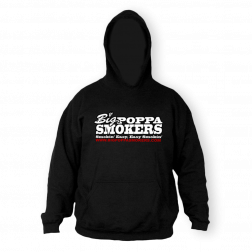 Big Poppa himself has a hand in designing every BBQ shirt, apron, hoodie/sweatshirt and hat you see at Big Poppa Smokers. The featured apparel has been designed to be worn by BBQ lovers across the BBQ circuit; BBQ competitors, backyard barbecuers, everyday kitchen cooks, and fans of Big Poppa Smokers can all look like BBQ guru's when sporting BPS apparel. Choose from a variety of BBQ t-shirt styles from our classic Big Poppa Smokers logo to our BPS mobile command logo. You’ll find that you can even match some BBQ t-shirts with BBQ hoodies for the ultimate BBQ master look. 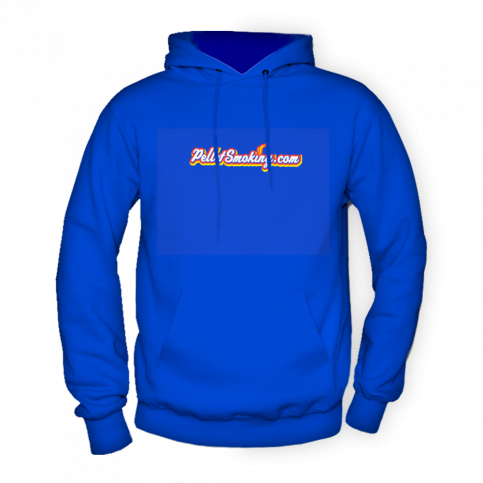 Grab a BBQ hoodie/sweatshirt for those cold BBQ days or a BBQ hat for sunny days. 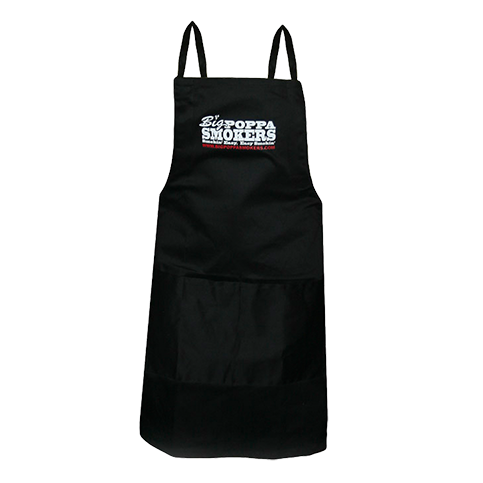 You'll be cooking in style when sporting Big Poppa Smokers apparel. 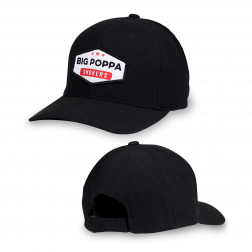 You’re already cooking like a BBQ master, look the part with barbecue apparel from Big Poppa Smokers. Look like a BBQ pitmaster with Big Poppa Smokers BBQ Apron. Big Poppa Smokers BBQ apron keeps you both in style and protected. It's light-weight and comfortable material makes it perfect for outdoor BBQ events and great for use in the kitchen. Show your freinds and family who the true BBQ pitmaster is when sporting a Big Poppa Smokers Apron for BBQ. Are you a Big Poppa Smokers fan? 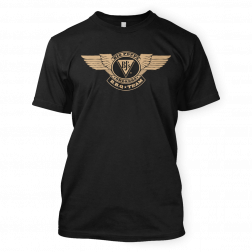 Show up to your next BBQ event sporting Big Poppa Smokers classic logo BBQ t shirt. Sporting a Big Poppa Smokers BBQ t shirt shows that you know where the good stuff is at. Support Big Poppa Smokers BBQ rubs and look like a BBQ pitmaster while doing it. Shop BPS t shirts, hats and hoodies at Big Poppa Smokers online BBQ store. Are you a pellet smoking fan? You'll find recipes and pellet smoking tips from BBQ cooks everywhere. Grab a Pellet Smoking Sweatshirt/Hoodie to show your support for this resourceful forum. Stay warm and show your support. Are you cooking with the West Coast Offense? The West Coast Offense rubs have taken over. The collboration of 2 of the top BBQ rub brands in the competition ciruit - Big Poppa Smokers + Simply Marvelous, is loved by BBQ cooks everywhere in both backyard and comeptition BBQ. Show your support for this powerful duo by sporting a WCO BBQ hat. 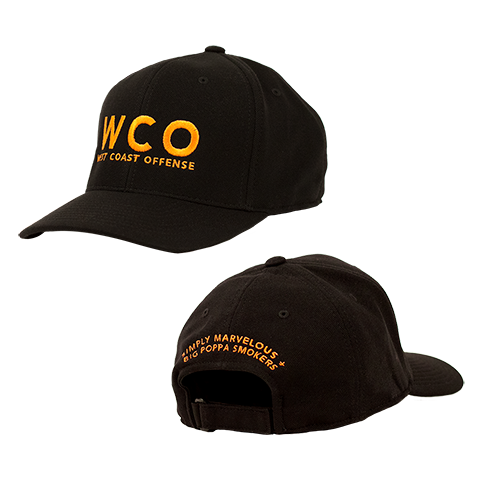 Shop WCO hats, t shirts and hoodies at Big Poppa Smokers online BBQ store.